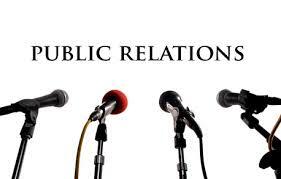 If you have no qualms being in the media's crosshairs then a career in public relations may be just perfect for you! Keep reading to find out all you can about how you can start traveling this exciting career path. Public relations, sometimes referred to as corporate communications or marketing communications, spend their time working to positively promote an image to the public. Some public relations individuals may work directly for a company that they promote, or they could be employed by a large corporation who promotes many different companies. Regardless of which employment avenue you pursue, you will work to design public relations campaigns that make a company and their products or services look as positive as possible. As you gain experience in this field, you will likely have the opportunity to become a public relations specialist or a public relations manager. A public relations specialist, which is more of an entry level position, will work to plan community based projects that will improve the public's view of a company. This may include sending out press releases and holding press conferences where you respond to questions from reporters. With significant experience, you may have the chance to become a public relations manager. This would require you to supervise a group of public relations specialists and their public interactions. As a public relations manager, you would still be expected to conduct media conferences and you will likely be responsible for the planning and execution of numerous public relations campaigns. Find a communication school today! Your prior experience will be important as you work side by side with executive level marketing departments and advertising departments. In your role as a public relations manager, you may find it beneficial to identify an area of focus that you enjoy. Among other options, you could choose to work within a particular industry (such as education or the medical field) or you could specialize in the social media aspect or crisis management. Your area of focus as a manager will greatly depend upon your strengths and weaknesses as it pertains to the public relations career world. As you study to obtain your Bachelor's degree in public relations you will be required to complete courses that will teach you how to give speeches in a public forum, conduct accurate research, and write press releases. You will need to learn the techniques related to design and layout, how to manage public relations and associated campaigns, how to properly conduct announcements through the television and the radio, and how to address public opinions and propaganda. Depending upon the school you attend you may also be required to take courses that focus on the law and how it relates to communication. All of the knowledge and skills you get from your bachelor's degree is intended to help you be capable of design a campaign that will positively influence the opinion of the public. Many colleges or universities offer a two year degree program related to public relations. If you choose to complete one such course, it is very likely that this course work will directly apply toward the four year degree program needed to obtain your Bachelor's degree. PR specialists have similar traits in order to be successful in their career. Some of these traits will be learned in courses while earning your Bachelors of Public Relations degree. Take time during your training to work on some of the below areas that will only further help you out with your new career. Public Speaking – When you are hired to do PR for a company it usually involves some public speaking. Sometimes you’ll need to address the media and some will have to speak with internal departments. Good public relations specialist will be comfortable dealing with large groups and it is a skill that you can learn during your college education. Withstand Criticism – Sometimes in public relations you’ll be criticized based on your decisions and or the decisions of the company you work for. Being able to have think skin and withstand criticism is a good trait to have in this profession. Confidence – In any professional position you’ll need confidence but in PR your held at a higher standard as you often are in front of the public and the face of the corporation you work for. Communication Skills – Corporate communication key for any company in order to allow departments to interact and function correctly. You’ll take a few communications courses during your BA training and it is always recommended to take additional communications courses to help you in your public relations career. Willingness to Learn – Always have the willingness to learn something new regarding how it to PR. As a PR specialist you’ll want to stay on top of industry changes.